Nrityagram Dance Ensemble will present "Pratima: Reflection" at 8 p.m. Wednesday, April 8, at the Tampa Bay Performing Arts Center's Ferguson Hall. "Pratima: Reflection" is an evening-length work that explores the relationship between the dancer and her dance as she seeks to find an image of herself through the essential truths - creation, contemplation, separation and the duality of the human spirit. Choreographed by Surupa Sen, the piece is performed by an ensemble of female dancers to an original score. 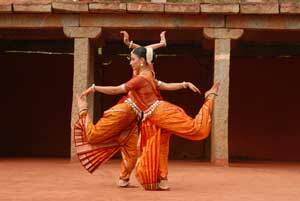 The language of the show is Odissi, the oldest of India's classical dance forms. Odissi is a distinct blend of rigorous technique with attitudes of love and passion to emphasize divinity in the ancient temples of East India. Nrityagram Dance Ensemble will hold a free classical Indian dance master class for grade 9 to adult at 7 p.m. at the Patel Conservatory on Tuesday, April 7. Some dance experience is required. To register, call (813) 222-1002. If you are in the vicinity of Orlando City Hall through April 23, you must check out "Gateway to the World: India Series" Art Exhibit by Rave Mehta. It can be viewed from 8 a.m. to 6 p.m. Monday to Friday on the second and third floors in the mayor's rotunda (at Orange Avenue and South Street). The "Gateway to the World: India Series" showcase by Rave Mehta blends the real with the surreal in an original photography exhibit of a 5,000-person, nine-day Indian wedding in Mumbai for which he served as the creative director. The exhibit is comprised of 15 pieces inked onto 30-by-40-feet canvas sheets. Mehta says, "Across humanity, weddings are a common celebration of life and love, yet it's interesting to see how different cultures celebrate these festive occasions. In this exhibit, I wanted to immerse others into the vivid imagery, festive colors, and grandiose beauty typically found in an Indian wedding." Mehta is an international artist, music composer, designer and creative director based in Orlando and New York City with roots in India. Mehta's visual works and installations have been seen, displayed and experienced around the world, including the Museum Tower, which houses the world-famous Museum of Modern Art in New York City, and was the 2008 Featured International Artist at the Q Gallery (www.qgalleryart.com) in Orlando. Ustad Ali Ahmed Hussain Khan on shehnai with sons Janab Hassan Haider and Janab Ahmed Abbas Khan, along with Pandit Subhen Chetterjee on tabla, will pay tribute to the late Ustad Bismillah Khan on Saturday, April 11, in Fort Lauderdale. The 7 to 9:30 p.m. concert will be at Broward County Main Library, 100 S. Andrews Ave., in Fort Lauderdale. Tickets are $25 for VIP, $15 for general admission and $5 extra at the door. They can be purchased at www.Ticketweb.com or call 1-866-468-7630. 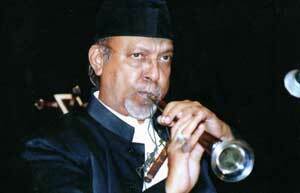 Ustad Ali Ahmed Hussain Khan has participated at numerous major classical music conferences. He has performed in several interesting duet productions, including one with late Ustad Munnawar Ali Khan; an east-west piano duet with Peter Michael Hamel at an Indo-German Festival; a violin duet with Pandit V.G. Jog; and a sitar duet with Ustad Vilayat Khan. Pandit Subhen Chatterjee has been accompanying almost all top-ranking musicians successfully in major music conferences both in India and abroad for the past 20 years. The concert is organized by the Association of Performing Arts of India (www.apaiart.com). Charity is a fundamental tenet of all religions. In Islam, it has been made a compulsory part of the religion. In other words, those Muslims that earn enough to set aside savings must give 2� percent of their savings in charity every year, or else they are not practicing their faith. This compulsory charity is called "Zakat" and Zakat is considered one of the five pillars of Islam. Islam also encourages its adherents to give generously to the poor and indigent in the community. This form of giving is called "Sadaqah." It is purely voluntary but considered the hallmark of a good and pious Muslim or Muslimah. Bearing this tenet in mind, the Islamic Charity Festival was established by Tampa Bay area Muslims 12 years ago. (It is held under auspices of the Tampa Bay Muslim Alliance.) Everyone is invited to this year's event, which will take place from 11 a.m. to 5 p.m. on Sunday, April 26 at the Riverfront Park, 1000 North Boulevard. The charity extended at the festival takes many forms. Plenty of food is given away. 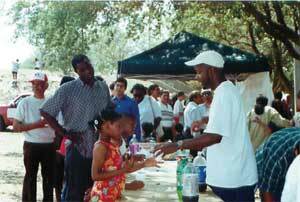 This includes many mouth-watering ethnic home-cooked dishes prepared freshly by the volunteers. A barbecue is cooked on-site too. Baked items, fruits, assorted variety of juices and soft drinks. Featured is the "Big Pot" chicken 'pulao' enough to feed many hungry souls! Other giveaway items include clothes, new shoes, toys, toiletries and sundries. One of the items is bicycles for adults and children. These are raffled during the featured talks. About 200 free medical tests were performed last year and this year organizers would like to top that number. These are offered in the "health tent" where attendees also can have their blood pressure checked. For the kids besides toys and raffled bicycles there are games, clowns and musical events. Weather permitting, the Tampa Police department brings out their helicopter, boat, crime prevention truck, mounted officers on horses and K-9 training unit. 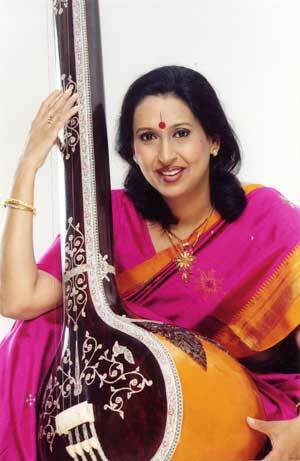 Music Lovers of Tampa Bay will hold a Hindustani classical vocal concert on Saturday, April 11. Performing is renowned singer Arati Ankalikar-Tikekar with Harshad Kanetkar on the tabla and Milind Kulkarni on the harmonium. Ankalikar-Tikekar, who is touring the United States for about two months, also will present some semi-classical music in Tampa. She will perform about 20 concerts during her present tour. The 7:30 p.m. concert at the Carrollwood Cultural Center-Annex, 13345 Casey Road, Tampa. Tickets (4) are $100 for sponsors. 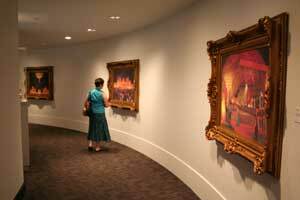 General admission is $20 for adults and $12 for children 12 years of age and younger. For tickets and more information, call Satish Ankalikar at (813) 960-3443 or (813) 435-8086, Naeem Abrahani at (813) 899-0920 or 813-323-6452, or Avinash Deshpande at (727) 742-6680. 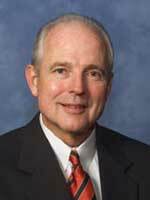 Dr. J. James Rowsey of the St. Luke's Cataract & Laser Institute will be speaker at the INDOUS Chamber of Commerce April 8 business meeting in Tampa. At the 6:30 joint event with the Florida Association of Physicians of Indian origin, the ophthalmologist will speak on "How the Healthcare Reform will affect you." Rowsey is working with Oklahoma Sen. Tom Coburn on a medical legislation, which addresses numerous healthcare issues. Tampa-based Safari Ventures (www.safariventures.com, 1-888-341-7771) has been designated as a "Best Adventure Travel Company on Earth 2009" by National Geographic� Adventure, the recognized authority on world travel and exploration. The company was informed of its selection based on the criteria of Quality of Service, Sustainability, Spirit of Adventure, Education and Overall Client Satisfaction. National Geographic Travel Analysts spoke with Safari Ventures' clients and reviewed the company's published itineraries and plans for 2009-2010 before making their selection. "This is evidence that our hard work and attention to detail as a Premier Destination Management Company for the continent of Africa is being noticed and rewarded," said Niru Patel, founder and CEO of Safari Ventures. 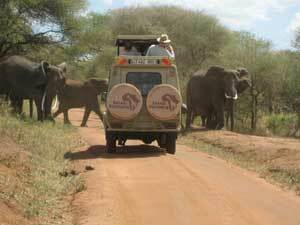 "We thank National Geographic for the invitation to participate in its' Adventure Travel Program. This achievement was only possible through the efforts of our travel team, our partners, hotel and lodge suppliers, and of course our customers, who have helped our business grow through their great testimonials and suggestions." Patel was raised in East Africa and caters to a large, discerning Asian client base that wish to travel to the continent. Particularly important is their ability to cater to special dietary needs, ethnic cuisines and language translation services. Safari Ventures has designed a unique "Indian-African Heritage Tour" to East and South Africa where guests can see first-hand the impact of the Asians in Africa in commerce, heritage and culture. They have opportunities to meet third- and fourth-generation business and community leaders, former politicians and independence fighters. Many Asians often return to the continent where they were born and now want to show their children. More than 150 women came together for the BAPS Women's Conference 2009 on March 14. The three-hour conference focused on promoting the physical, mental, moral and spiritual well-being of individuals. 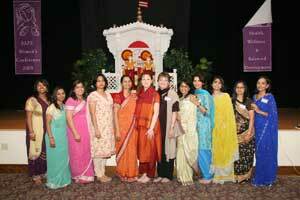 It was hosted by the BAPS Swaminarayan Sanstha at the BAPS Shri Swaminarayan Mandir in Tampa. The conference commemorated International Women's Day, a global celebration established by the United Nations to recognize women and the important contributions they have made in the world. BAPS is a current member of the UN's Economic and Social Council. The theme, "Health, Wellness and Balanced Development," provided a forum for attendees to discuss how physical, mental, emotional and spiritual well-being is fundamental to achieving success. The various keynote speakers each stressed one of these topics. Physicians Anita and Gargi Patel addressed the issue of physical wellness, stressing the importance of exercise. Rita Patel was particularly inspired by the speech. "I was pleased to learn that we can exercise and take steps to address our health very easily." Sheela Chokshi spoke on the importance of mind-body wellness, citing examples from her personal experiences. Bina Mehta gave a yoga demonstration designed to show attendees some practical ways of adding yoga into their daily routines. Elenor Speed and Kimberly Gray also contributed their experiences. The final speech of the evening was by Hina Darji on spiritual investment. ":Doing things like learning to meditate are practices that support you in knowing who you are and what you need to do in order to create balance and flow in your life." "The wellness wheel gives greater perspective on what I really should be doing to create a sense of balance in my life," said Aarti Patel, an attendee. Shalini Darji concluded with remarks on the growth of BAPS in the past 100 years. Attendees left inspired and empowered, ready to implement the message of the conference in their own lives. On March 14, more than 500 people played the annual Holi fair with dry and water colors at the Sanatan Mandir in Tampa. A Holikadahan, i.e. lighting the holi fire, was enjoyed by both children and elders alike. After aarti, mahaprasad was served. In February, the temple celebrated Mahashivratri with several hundred attendees performing pooja with great devotion. Sanatan Mandir is at 311 E. Palm Ave. in Tampa. For more information, call (813) 221- 4482. Pehchaan presented its first workshop this year on Anger Management titled "Taming the Tiger Within" on Feb. 22 at Carrollwood Cultural Center. It was presented by Sushama Kirtikar, a licensed mental health counselor, and president of Pehchaan. Attendees learnt that there are different ways to comprehend and redefine anger, which affects everyone in various degrees at some time or another. Kirtikar succinctly explained to the audience about the cause, the stimulus (event), the thought that follows and the feelings of hurt, helplessness or jealousy, which leads us to the aforementioned behavior. She also discussed the coping styles of individuals. Some are aggressive while some are passive - aggressive and yet others are passive when it comes to dealing with anger. She stressed on the 3 D's of handling and coping with anger: 1) distance, 2) de-escalate and 3) discuss. Pehchaan is scheduled to have its second workshop in the Anger Management series on May 17. It will be presented by Paul Pushkarna. The yes! 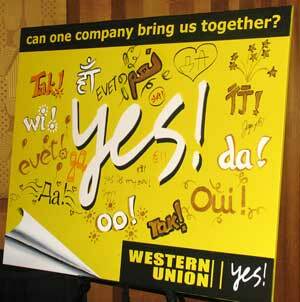 scroll signed in more than 18 different languages from Western Union's new yes! ad campaign launch event on March 18 at the Hotel Sofitel in New York City. For the first time in the company's 150-year history, Western Union has launched a comprehensive global brand initiative, entitled yes! This campaign celebrates people around the world who rely on the transfer of money across borders and oceans to help them embrace their hopes and dreams. "This is a very exciting time for Western Union," said Nidhi Gupta, Western Union Marketing Manager, South Asia. "Western Union believes in and supports the needs of people who are pursuing their dreams. Even in these uncertain times, the optimism and positivity of our consumers is inspiring. Can a son support his parents back home? The answer is yes! Can a father fulfill his child's hopes and dreams? The answer is yes! Western Union's money transfer services enable these connections between South Asians around the globe." With more than 44,000 agent locations in the U.S., and more than 60,000 in South Asia, sending and receiving money is easy. Dave Majumdar, senior product manager, US Out bound to India/South Asia and Pakistan added, "To better support the needs of the consumers, we inform them at the time of sending money, the exact amount which will be received by their loved ones back home. Western Union has been doing this for years, and this feature is very much appreciated by our consumers." The yes! brand campaign elements will be translated into 40 languages, including Hindi, Urdu, Punjabi, Tamil, Bengali, Gujarati, Marathi and other South Asian languages and will consist of several marketing elements. There will be print, broadcast and online advertising as well as new Point-of Sale materials for more than 320,000 Western Union agents in 200 countries and territories. 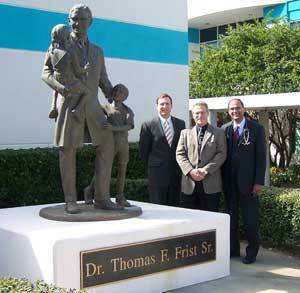 Steve Rector, CEO, Regional Medical Center Bayonet Point, left, with Chip Wichmanowski, executive director of the Pasco Education Foundation and Dr. Rao Musunuru, 2008 Frist Humanitarian Award Winner, in Physician Category, beside a statue of Dr. Thomas F. Frist Sr. in whose honor the award was created. Dr. Rao Musunuru, a practicing cardiologist at Regional Medical Center Bayonet Point, recently was picked as the 2008 Frist Humanitarian Award winner in the Physician Category at Regional Medical Center Bayonet Point. The honor recognizes individuals who serve the community and those in need and whose daily dedication and care giving epitomize the highest standards of quality and personal commitment. The Frist Humanitarian Awards were created to recognize one employee, one physician and one volunteer at each HCA-affiliated facility who demonstrate extraordinary concern for the welfare and happiness of patients and their community. The Frist Humanitarian Awards are given annually in recognition of the humanitarian spirit and philanthropic work of the late Dr. Thomas F. Frist Sr., a founder of HCA. The Hindu Society of North East Florida in Jacksonville celebrated the second anniversary of the new temple March 20-22. The celebration began March 20 morning with Ganapathi Homam followed by Rudrabhisheka in the evening. Next day was devoted to Lord Balaji with Suprabhatam and Abhishek. In the evening, a grand cultural program Janani Janma Bhumischa was organized by RasaJhari, involving artists from Jacksonville. This was followed by Vigneshwara Vaibhavam, a Kuchipudi-style dance drama by Shivani Kuchipudi Dance Academy of Atlanta. On March 22, Ganesh Abhishek was followed by Samuhik Saraswathi Puja conducted by about 100 children and a cultural music program by local artists. 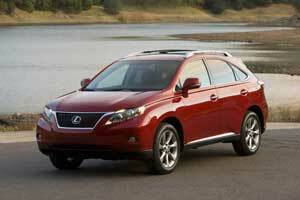 2010 LEXUS RX IS ALL REDESIGNED - FOR THE BETTER! Introduced originally as RX300 in 1998, this four-door, five-passenger luxury SUV has been completely redesigned - for the better, of course. Lexus' biggest seller in the United States is once again available as a front-wheel or all-wheel drive, whether you choose the RX350 or RX450h. Though the RX350 already has hit the road, the hybrid version will be on sale in mid-summer. Here's how the two power trains vary. RX350: The 3.5-liter V-6 engine has been revised with a 6-speed multi-mode automatic transmission (previous version had a 5 speed), which enables the driver to manually shift gears. Also, the SUV is now equipped with fresh intake and exhaust manifolds. Horsepower is up by 5 to 275 hp @ 6200 rpm and 257 pounds-feet of torque at 4700 rpm. RX450h: The updated 3.5-liter V-6 Atkinson-cycle engine offers 245 horsepower (previous was 208) at 6000 rpm and 234 pounds-feet of torque at 4800 rpm (prior version was 212 @ 4400 rpm). The hybrid can operate in just electric mode, solely on gas or a combination of both. With the new EV mode, the 450h can travel at low speed on just electric motors. The FWD version has two motor-generators while the AWD has a third, rear motor-generator to push the rear wheels. And now for the similarities. Lexus has retained the front MacPherson strut suspension with coil springs. However, for 2010, the rear suspension is equipped with a double wishbone with coil springs instead of the strut-based configuration. Translation: more cargo space area. A standard and effortless electric power steering nixes the need for hoses that go with a hydraulic pump system. Also, the vehicle undergoes some major exterior changes such as a boost of 0.79 inches in its wheelbase, 1.38 inches in length, 1.6 inch in width and 2.8 inch wider track than its predecessor. Standard cabin amenities include 10-way power front seats, three-spoke power tilt/telescopic leather steering wheel, push-button start, automatic dual-zone climate control, walnut wood trim on doors and around shifter knob, center and console plates, chrome door handles, metallic accents around the center of instrument panel, 40/20/40-split recline/slide fold rear seat and Lexus Premium audio (in-dash 6-CD changer with nine speakers). Standard safety features are 10 airbags, Vehicle Stability Control with Traction Control, Active Torque Control for the AWD, four-wheel antilock brakes with brake assist, active head rests for front seats, free-limiting seatbelt pretensioners for front seats and three-point seatbelts with pretensioners for rear seats, tire pressure monitoring system and daytime running lights. Since debuting more than 10 years ago, Lexus has sold more than 780,000 RX models. With the revamped and powerful RX350 and RX450h, the Japanese luxury division of Toyota can only hope to sell more of the vehicles. And we are convinced it will. As is always the case, businesses are treated more favorably than individuals when it comes to tax incentives. Most deductions that are allowed for businesses are "untouchable" for individuals. Additionally, for most type of business entities, business deductions have a far greater impact on taxes paid than individual deductions. Therefore, it is important for business owners to fully comprehend the nature of this new legislation. Appropriate use of these tax breaks can lead to substantial tax savings in 2009 and even possible tax refunds of taxes paid in prior years.
" Bonus Depreciation - Extends the 50 percent bonus depreciation provision to 2009 for qualifying property placed into service in 2009.
" Section 179 Depreciation - Extends the 2008 Section 179 limits to 2009 for qualifying assets placed into service in 2009. The 179 limit for 2009 is $250,000 with a phase-out threshold of $800,000.
" Unemployed Veterans & Disconnected Youth Credit - Gives credit to businesses worth 40 percent of the first $6,000 in wages paid to unemployed veterans and disconnected youth. Individuals qualify as disconnected youth if they are between ages 16 and 25 and have not been regularly employed or attended school in the past six months.
" Delayed Recognition of Cancellation of Debt Income (CODI) - Benefits businesses that negotiate their debt at a discount resulting in CODI. Under the act, the income can be recognized over a period of 10 years.
" Qualified Small Business Stock - Increases exclusion for gain from sale of certain small business stock held for more than five years from 50 percent to 75 percent.
" S Corporation Holding Period - Shortens the holding period of assets subject to built-in-gains tax from 10 years to seven years. In general, businesses can greatly benefit from consulting their CPAs on a routine basis and taking appropriate steps before and after the close of any financial transaction. The tax stimulus act has made 2009 a crucial year for business owners to carefully evaluate their tax past, present and future tax strategy, and make timely decisions before it is too late. The 99-seat eatery has been open for nine years. What's been attracting local residents to Little India at 8344 W. Oakland Park Blvd. in Sunrise? Rochelle Koff of Miami Herald has the answer. "Just-baked breads fragrant of onion and garlic," she notes in a recent review. "Robust chutneys and soothing yogurt. Velvety sauces and deep, spicy curries." And the food? "Most dishes can be made with goat, chicken, lamb or shrimp, and there's a fish curry and spicier vindaloo," she writes. St. Petersburg Times food critic Laura Reiley was all praise for the lunch buffet at the newly opened Pinellas Park's Taste of Punjab. "Chef/owner Rajinder Singh's palate is spicy and flavorful but balanced, with a good eye to contrasting colors and textures," she writes. "We've had a recent influx of Indian restaurants in the area, but certainly there's room for this newcomer, with its mostly familiar northern Indian dishes, offered in generous quantities at a fair price." Lunch buffet at the eatery at 6540 Park Blvd. is $9.57. Taste of Punjab is open 11 a.m. to 10:30 p.m. daily. For information, call (727) 545-4103. And while we are talking about Pinellas Park, a lot of new residents in Pinellas (especially Clearwater/Largo areas) have been inquiring about grocery stores in their county. Well, a huge supporter of Khaas Baat for several years is Namaste in Clearwater owned by Hussainbhai. The British, Indian and Oriental (B.I.O.) groceries store is at 2475-H McMullen Booth Road. Their telephone number is (727) 669-3737. Let Hussainbhai know we suggested him to you. Also, for folks in the vicinity of Tarpon Springs, Hudson and Holiday, there's a grocery store right off U.S. 19 in Holiday. Spice of India is at 3315 U.S. 19. For more information, call (727) 815-0831. Vijaya and his wife Nagu Shankar. 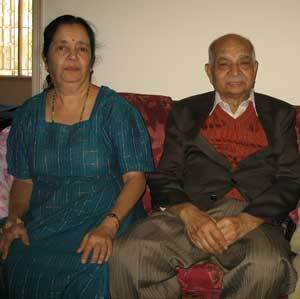 Vijaya Shankar, previous owner of NS Foods in Tampa, died Feb. 28 in Bangalore. We fondly remember him and his wife, Nagu, who opened the restaurant/store at 5522 Hanley Road, Suite 105, more than 13 years ago. At that time, the Shankars took pride in the fact that theirs was the only store/restaurant serving fresh vegetarian South Indian food. And we took pride in eating their delicious food every time. 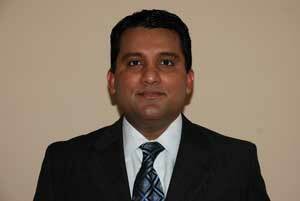 "Myself and Madhavi knew Vijaya Shankar for over 15 years," said Kotha Sekharam of Gurukulam of Tampa Bay. "He taught at Gurukulam of Tampa Bay for a long time. He was an honest and caring human being. Teaching was his passion. He had the ability to interact with any age group. He was the kind of person who was ready to help anybody, even a stranger, without expecting anything in return. We will greatly miss a wonderful friend in Tampa Bay." We at Khaas Baat, including those numerous children whom Vijaya Shankar taught mathematics among other subjects to prepare for SAT, will miss him too. NS Foods is still open, now run by Sushma Patel, a veteran cook who has catered for Indian families for more than 15 years.